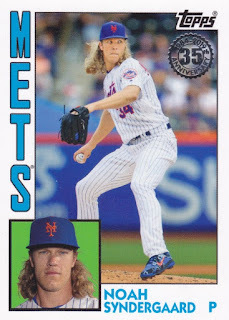 More 2019 Topps because it's there. 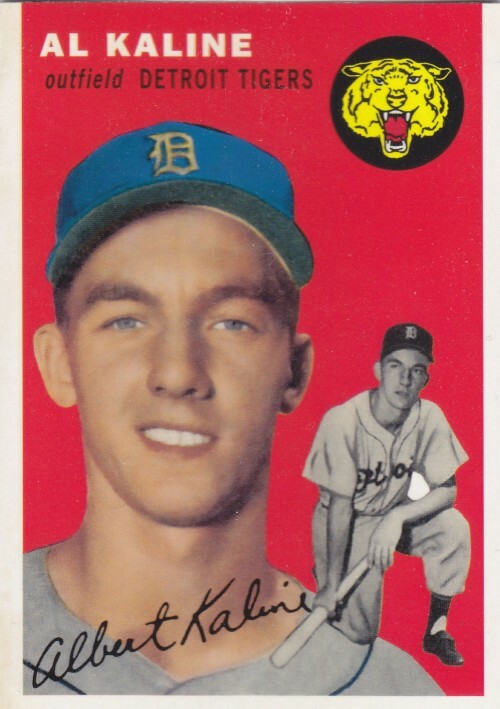 The Chris Sale jersey card came from the box, as did this Al Kaline reprint. 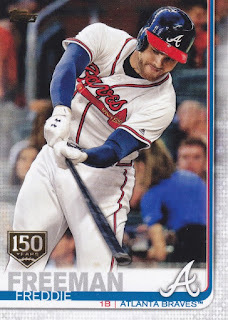 I'm really not interested in reprints of vintage cards when they're on the thin glossy stock of present day Topps, so this does nothing for me. 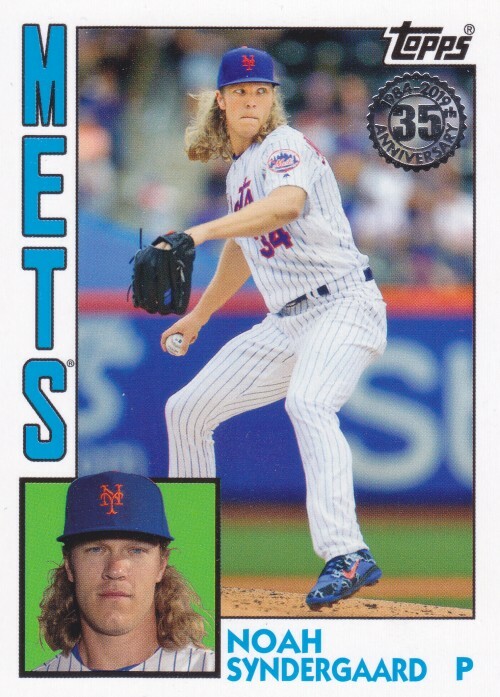 Topps is paying tribute to their 1984 set this year, as we all know. I think they did a solid job with the fonts on these, for what it's worth. 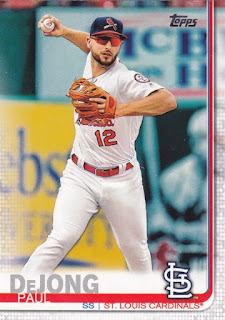 This is one of those Rainbow Foil parallels of a Reds player. 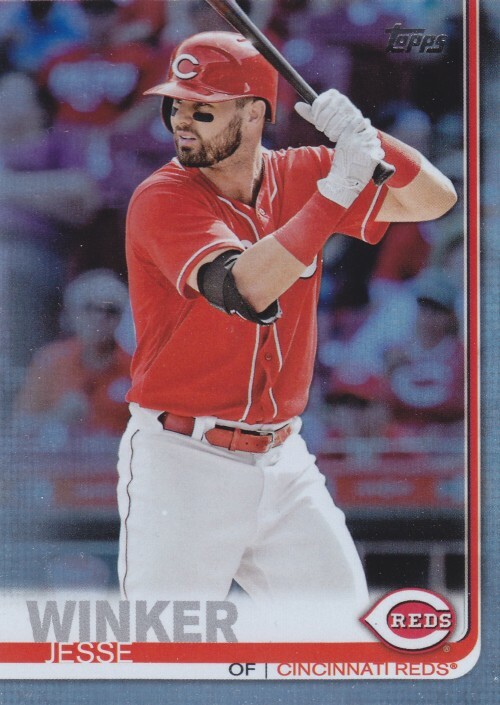 I'll probably see Winker 20 times this season because of MLB's unbalanced schedules. There were Cardinals to be had in the box as well, including this 'RC' of Adolis Garcia. I'm not sure he'll play a lot for the team in 2019, which fits with a lot of rookies that end up in Series One, typically. 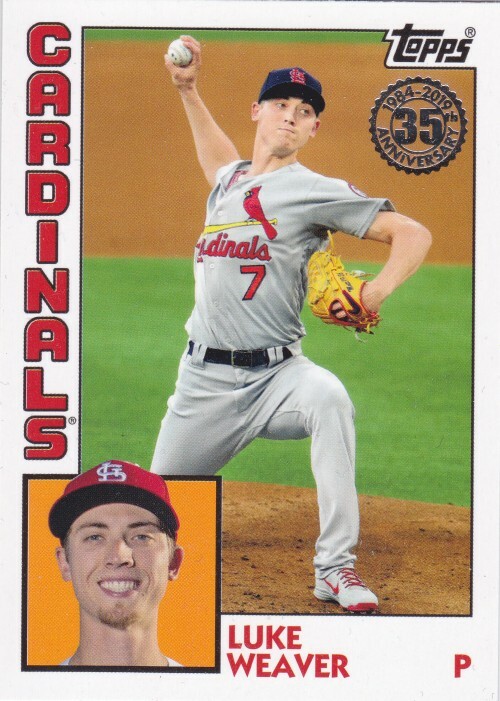 Former Cardinal Luke Weaver appears here on his 1984 tribute. 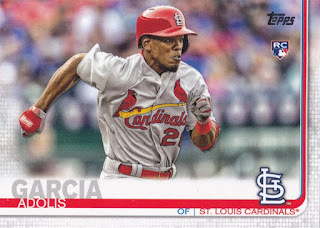 This is my second Cardinals insert so far from this set, which is nice because the rumor has it that all inserts are a tough pull relative to their overproduced base brothers. 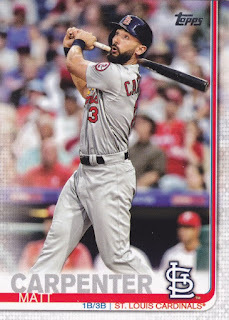 Matt Carpenter gets the rare 1B/3B designation here. His annual position change takes him back over to 3B to make room for Paul Goldschmidt. 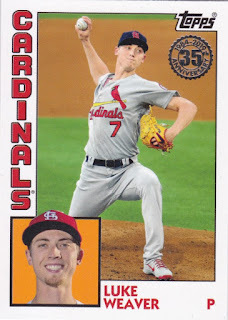 During an errand run on Sunday, I snagged some more cards -- one of the $4.99 jumbos. With loose packs rising to $2.99 this year for the first time (more cards, I guess, but still...), these seem like a better option. 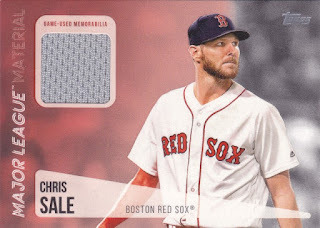 The gold foil stamped 150 Years parallels are fine, but I wish they would have just replaced the rainbow foils. We definitely don't need more parallels. 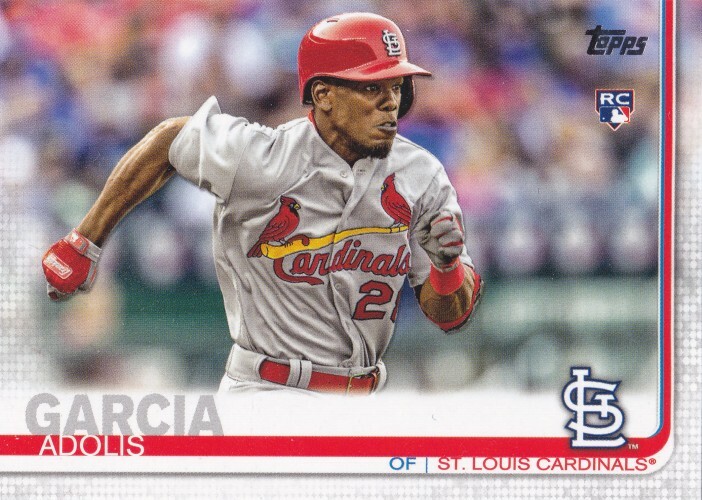 There were even more Cardinals to be had in Sunday's pack. This feels like an important year for Paul DeJong in terms of finding out if he's going to be a star or just another cog in the machine. 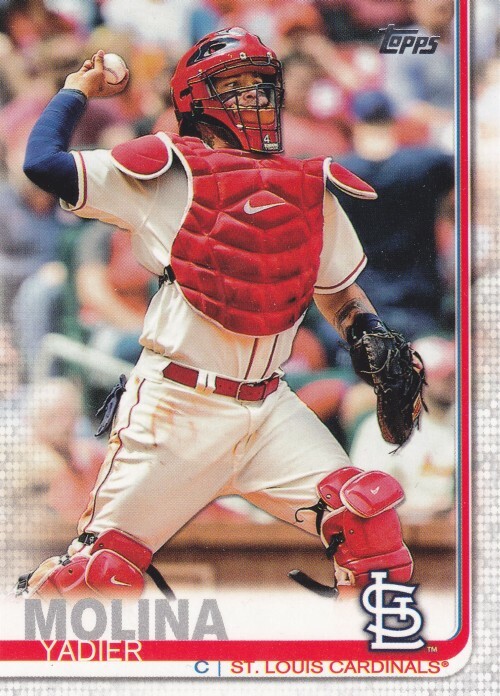 Finally, here's Yadi! After I pulled this card, I realized his "face mask close-up" card that was circling the Twitters when this set was first released was actually his short print (or super short print? so dumb.) variation. 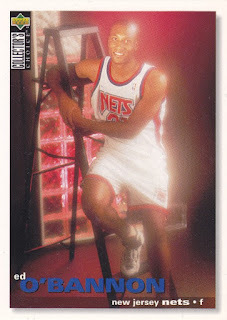 This is the actual card I will end up with piles of. Lol. My friend spent 40 minutes in line at the grocery store preparing for Snowmageddon. She was so upset that they barely received any snow. I never see relics come out of those. Nice pull...minus the player/team! You did great with the Cardinal pulls. I like the 150 parallels. The '84 variants also look nice in hand. Good stuff. Are We Ready for 2019 Topps Heritage?